67010 passes Banbury Stone Terminal with the 1P03 07:23 Wrexham to Marylebone Wrexham & Shropshire Railways service on 21 September 2009. There is certainly a variation in the liveries of this train, with the loco alone in the train operator's colours. 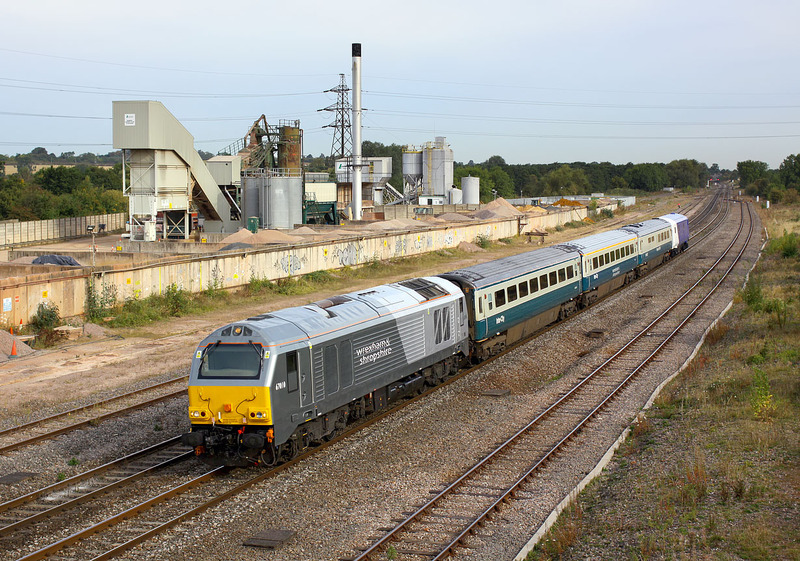 The centre of the three classic blue and grey Mk3 coaches is at least branded Wrexham & Shropshire, but the DVT (82302) at the rear of the train is in the recently applied, and as yet unbranded, Chiltern Railways livery.